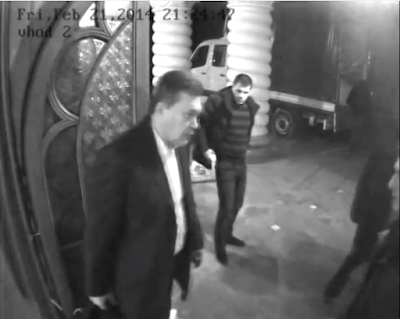 After unsuccessful attempts to quell the protest, in February 2014, Yanukovych fled the country and was ousted by the Ukrainian Parliament, the Rada. It has been two years since the renovation of the country’s political system, but Ukraine has yet to implement meaningful reforms. Further delays may result in the reinstatement of the old system. A broad political coalition in Ukraine was united during the protests under the shared banners of European integration and fighting corruption. In May 2014, Petro Poroshenko won the presidential election. His political popularity rose sharply during the crisis—after polling at 3 to 4 percent in the fall of 2013, he recorded 35 percent by April 2014. It took another 5 months to organize snap parliamentary elections and to establish a governing coalition, supported by five political parties that appointed Arseniy Yatsenyuk as prime minister. On December 2, 2014, the new government was approved by the Rada. Meanwhile the political and economic situation in the country was rapidly deteriorating. Russia had annexed the Crimean Peninsula and unleashed a "hybrid war" in Eastern Ukraine. As a result, the economy has lost more than 20 percent of GDP and export earnings, and the banking system was faced with borrowers defaulting en masse. At the same time, Russia, which had been the Ukraine’s biggest trading partner (more than 30 percent of trade), introduced many trade barriers against Ukrainian products, and Ukrainian authorities banned sales of military-related products (mainly components) to Russia. This year Russia’s share in Ukrainian trade will fall below 10 percent. The economic situation was exacerbated by the fact that for many years Ukraine had used public expenditure to subsidize gas prices for consumers. Russia’s raising of gas prices has led to a sharp increase in budgetary expenditures and to an expanded program of printing money by the Ukrainian national bank. Hryvnia, the Ukrainian currency, has devalued sharply and inflation has spiked. A reform program approved by the IMF in March 2015 offered direction on the required economic and political reforms, the latter aimed at improving the judiciary system and fighting corruption. At the time, it seemed to many that this would launch the strategic transformation of the country's economic and institutional systems. And it would be wrong to say that the reforms haven’t been proceeding well. Made a quick transition to market prices for natural gas and replaced the system of global price subsidization to targeted subsidies for low-income citizens. Dramatically improved the quality of the supervision branch of the National Bank of Ukraine. Licenses were revoked for every third bank and the 20 largest banks in the country have gone through stress tests, which resulted in the introduction of requirements for strengthening the banks’ capital. Undertaken police reforms, including the creation of police patrols in major around the country. Created a legal framework and established new structures to fight corruption, and made changes to the staff of the General prosecutor's office. However, experts are unanimous that the reform process is moving very slowly and is currently far from comprehensive in its scope. Ukraine’s economy stabilized, but it is not recovering, and the living standards of the population continue to decline. There is broad professional agreement on a set of key reforms and their content, with various groups differing only on technicalities. But political factors are obstructing the implementation of these reforms in several ways. First, Euromaidan brought to power politicians who had held various positions during the past 10 to 15 years, and who were involved in many formal and informal political and business agreements. Many of them felt the reform process should be gradual rather than radical. Conversely, the newer politicians who had helped bring about the political protests and who argued the need for a more rapid transformation are not heavily represented in the government. Second, although democracy in Ukraine is much more developed and stable than in Russia, there are no well-established political parties that differ from each other ideologically. The main differences between the parties relate to the personalities of their leaders. Often, parties are created shortly before national elections and disbanded shortly thereafter. Parties’ electoral lists are frequently populated by friends, acquaintances, or sponsors of their leaders who are united by little else. As a result, many members of the Rada largely do not care about the interests of the voters, as nobody can guarantee that their leader will run in the next elections. As ex-minister Aivaras Abramyavichus said recently: "half of the deputies in the Rada want to make policy, and the other half wants to make money." Third, Ukrainian oligarchs over the years have played an important role by supporting various politicians. Their wealth was established, and is largely maintained, by rights to nominate their managers to state-owned companies or by free use of public assets. As reforms call for the destruction of such arrangements, the opposition of oligarchs to the proposed reforms will inevitably grow, and they can use their dominance over broadcast media to stoke opposition to the process. Fourth, Ukraine is a parliamentary-presidential republic, where the government is drawn from an official parliamentary coalition. After the 2014 elections two politicians have controlling stakes in the existing coalition: President Poroshenko and Prime Minister Yatsenyuk. If either of them leaves the coalition it will collapse, and most likely snap parliamentary elections would have to be called. In such a bipolar design, each player is primarily concerned with his opponent not strengthening his position, rather than with implementing reforms, particularly when those reforms are politically toxic and could banish them from the political system in the next electoral cycle. Mutual political jealousy between the president and the prime minister means that neither of them is ready to become the champion of reform. Finally, Ukraine’s transition from a corrupt ineffective state model, inherited from the Yanukovych era, to a pro-European one requires establishing the rule of law, fighting corruption, and serious transformations of the judiciary and law enforcement. If these goals are not accomplished, even the most successful economic reforms will not create a sound basis for the sustainable development of the country. Judicial reform, after long debates, has passed first hearings in the Rada but currently lacks the support of the required constitutional majority. The main force in the fight against corruption is the prosecutor’s office, where President Poroshenko prefers to keep a loyal rather than strong and independent figure, thus fighting corruption does not include top-level politicians. President Poroshenko’s unwillingness to act decisively in this area is holding back Ukraine’s transformation. Two years have passed since the change of political regime in Ukraine. Unfortunately, the Ukrainian reforms have not gained enough momentum to pass the point of no return. There is a big chance that the current generation of Ukrainian politicians is going to lose the opportunity to change the country. 2016 will be a decisive year in determining the fate of Ukraine for at least the next decade. Over the coming months, the country will need to go through a tough budgetary consolidation exercise and to reduce the budget deficit from 15 percent to 4 percent of GDP. To a great extent this will be reached by reducing the living standards of ordinary Ukrainians, who will need to adjust to a rise in gas prices. If during this year the Ukrainian government does not launch comprehensive reforms, the economy will not be able to recover and, as a result, the population will not feel the positive results of the reforms (rising living standards) in time for the 2019 parliamentary and presidential elections. And if the Ukrainian voters do not feel the economic benefits of the reforms, they will lose confidence both in the current generation of politicians and the changes they are pursuing. Populists will rise and turn Ukraine back to the old political system of corruption, rent-seeking, and oligarchic dominance. That may doom the country to a prolonged stagnation.